11. 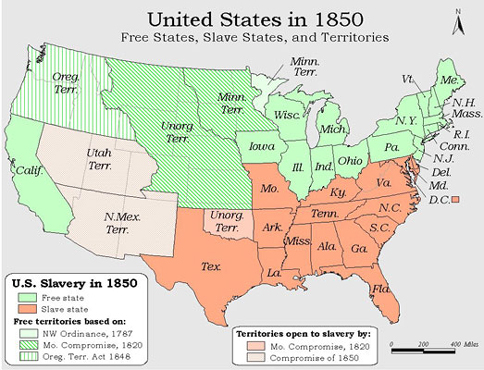 Using the map on your notes, shade in the states that abolished slavery by 1850. In a second color, shade in the states that were continuing to practice slavery by 1850. The attempt to end slavery in the United States had been an ongoing discussion for many Americans since before the American Revolution. During the 1800s, increasing tension about slavery also caused many abolitionists to take more forceful actions for their causes.